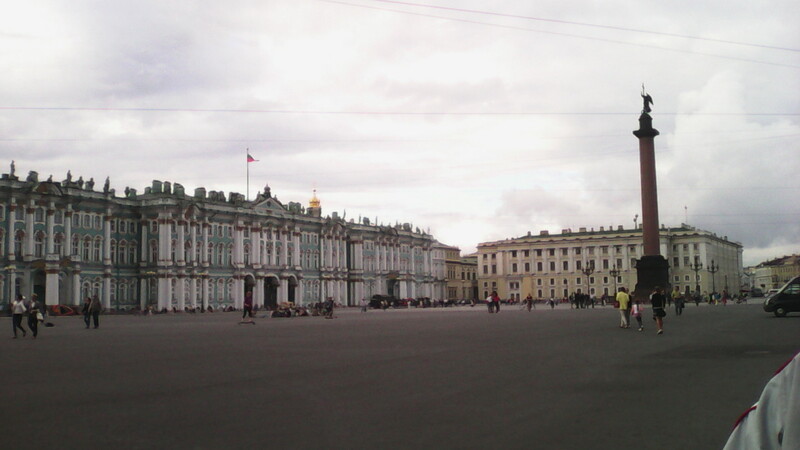 First impression I had in Saint Petersburg was absence of tourists. There are almost no Western Tourists. It used to be hordes of them. There are some tourist groups in the center of town, but people in them are mostly with oriental type of faces. There are no beggars and homeless people on the streets, which is quite a contrast to San Francisco and Los Angeles, which I visited recently. Unlike many Western European cities, there are no Muslim women in the streets in their hijabs and burkas. And, there are no black people. It used to be many gastarbeiters (guest workers) from former Soviet Mid Asian Republics. But they also disappeared after the ruble fell last fall and more tuff requirements for migrants were introduced. Food stores are full of products and customers; I do not see any difference compare with year ago. However, prices for cheese and sausage jumped two times. Couple of my friends complained that they cannot afford their favorite French cheeses anymore. However, they are old enough to remember the siege of Leningrad, which they survived on daily ration of 125 grams of bread. Corruption is rampant. It is started right at the road from airport. My taxi driver attracted my attention to cars stopped by police. Only expensive cars were stopped, he said. Usually police inspect car thoroughly. If they found something wrong, like one of drugs with expired validity date in medicine cabinet, then they charge driver an outrageous fine. All drivers know the rule. They can negotiate, and pay much smaller amount to police officer in cash. All Russians admit that there is a lot of corruption here. But, it is the same everywhere they say, take a look at America, and its constant corruption scandals, aired on TV. It is impossible to prove to them that it is quite a different level of corruption in the USA. 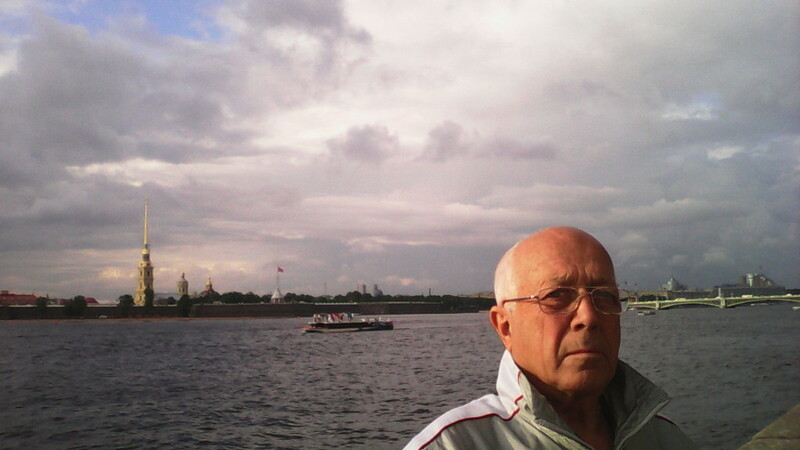 Bribery has deep root in Russian society. If a doctor made the right diagnosis, if receptionist was attentive and not rude, if accountant did not overcharged you, if the plumber quickly fix your water tap, Russians feel obligated to give them little present. It is like Americans feel obligated to give tips to a good waiter. Theatrical life is flourishing. Theaters are full. Tickets price is up to 10,000 rubles. But it is still possible to get cheap “extra” ticket at the entrance. I visited five theaters in two weeks, more then I visit in a year at home. I watched the premiere of the opera La Traviata in new interpretation at Mariinskii Theater. In accordance with new international trends, there was a bearded women in the corps de ballet (trans-gender, I presume). I visited my friend with whom I met almost a year ago. Future seems quite uncertain and gloomy year ago. We were not sure if we will meet again. However, nothing dramatically terrible, what media eager to predict, happened. It is no World War III this summer, no Russian attack on Baltic States, no nuclear conflict. Life looks quite normal until you switch on TV. But people get used to stream of bad news and do not pay attention to them, I guess. 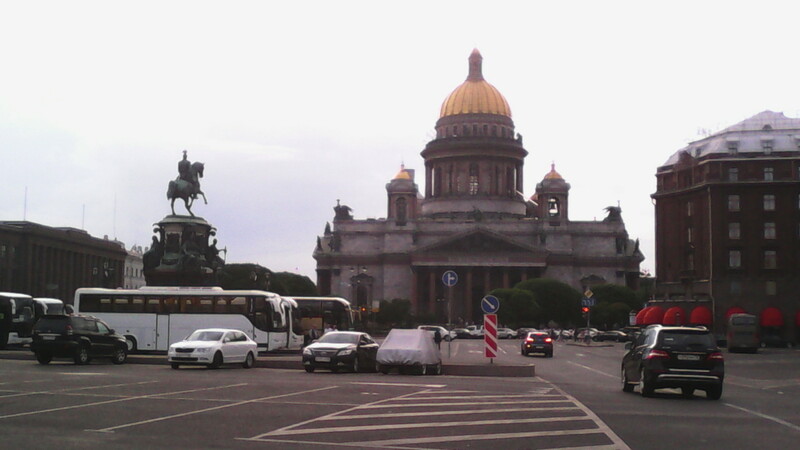 PS: I took bicycle trip from Vyborg to St. Petersburg. And I camped in my new tent, presented for my 78th birthday. 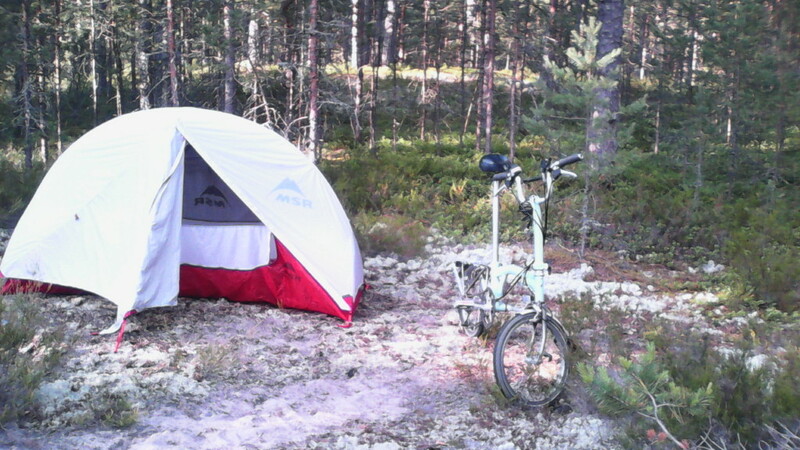 Tent is perfect, see picture. I haven't been in Moscow for a long time. It is such a big difference. First, prices in cafe and restaurants are shocking, at least two times more than in comparable places in the USA, however they are full of people. 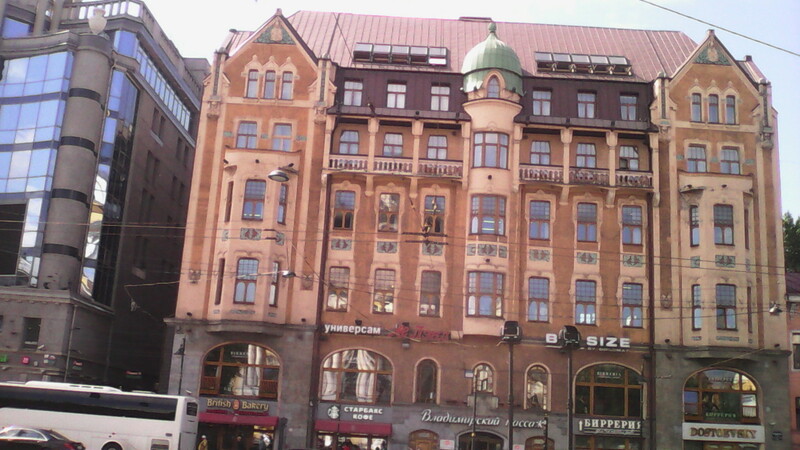 By contrast, the price for accommodation has drop, Sheraton 30 euros. I stay in "Galina's Flat" hostel for $7.50, excellent place, feels like home. 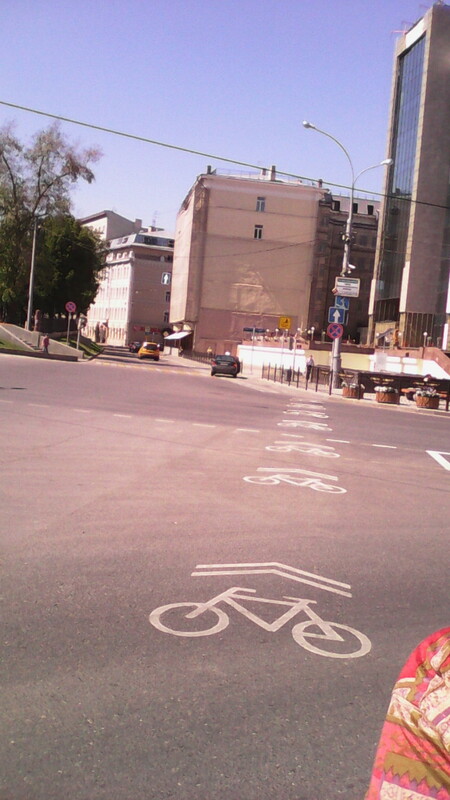 Moscow introduced first bicycle path on Garden Ring, see picture. I was the only bicyclist there. Most of advertisements in Moscow in Latin letter, not in Russian. It is like in Soviet times. Official propoganda told people about advantage of Soviet technology, but people tried to get American jeans, Japanese typerecorders and TV. Now propaganda tell people that Europe and America became an enemy of Russia, but must advertisements are in English. 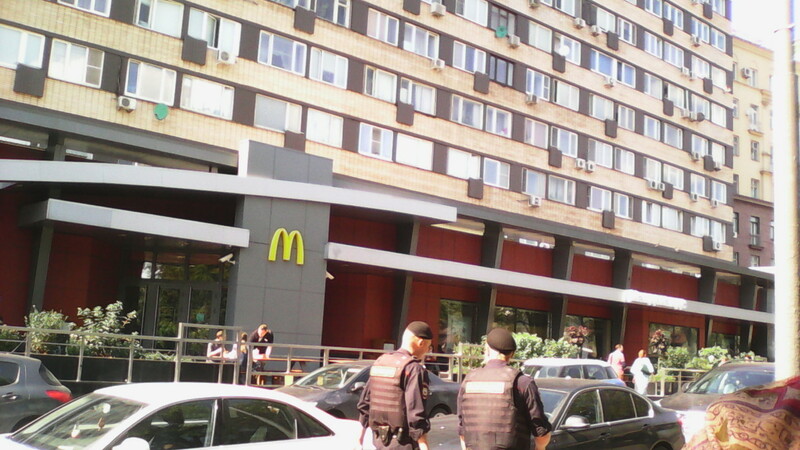 McDonalds which was closed with such a noise is open now, see picture. 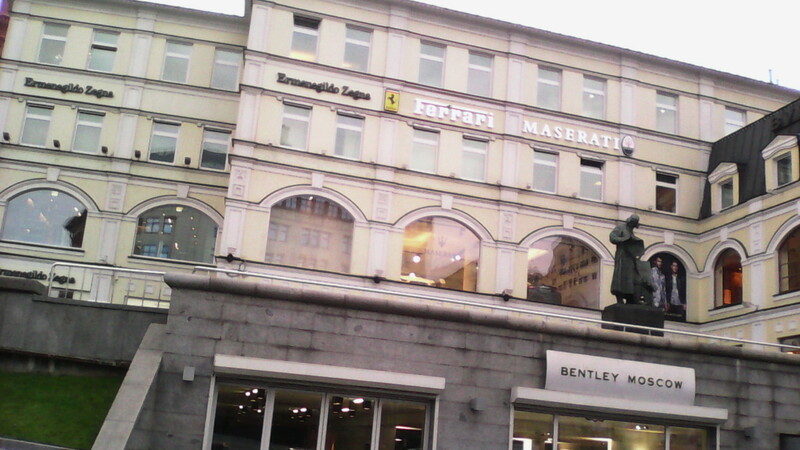 Right in historic center of Moscow the dealership of Maserati, Bentley and Ferrari are located. 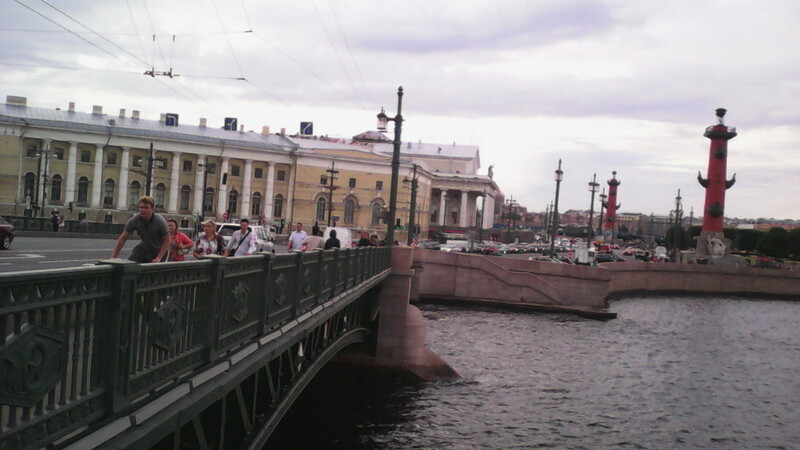 In other countries they are usually away from the public view, but not in Moscow. They are not only highly visible but also highly audible, when owners accelerate their cars with full throttle on central streets of Moscow, the noise is like from an ascending airplane. Nowhere in the world is the ruling class is so arrogant, aglie, so willing to show off their wealth and so ignorant to the needs of the rest of population. This is why so many people here have nostalgia for the Soviet Union. To finish with this topic; the same as a century ago, most of the people think that the tsar is good, but he is surrounded by bad people. Actually, the same as a century ago he is not bad and not good. He simply cannot handle his huge empire alone. 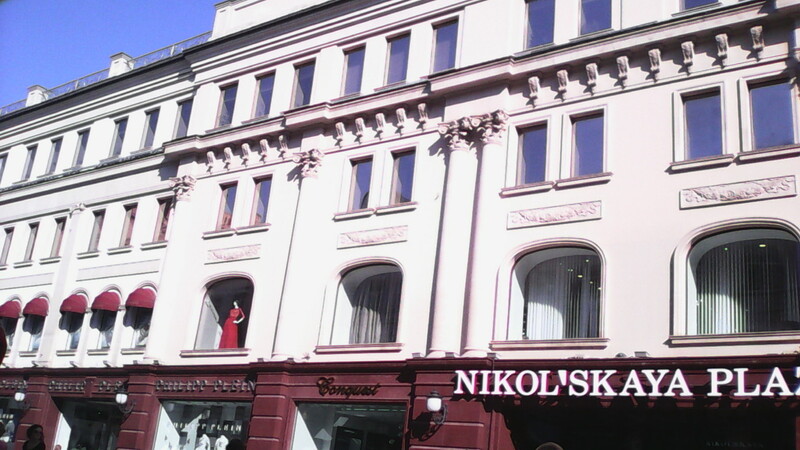 You can see along the streets people with slogan: "Putin help with this and help with that...like unfair court decision or home repair or health problem.... People address their despate application to highest name because they do not trust his leutenants, as they all are croocs, they think. 5. 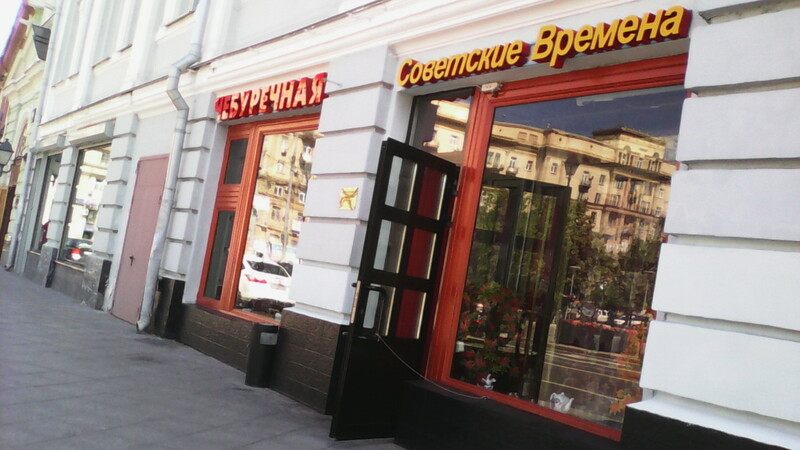 Small restaurant "Soviet Times"
6. 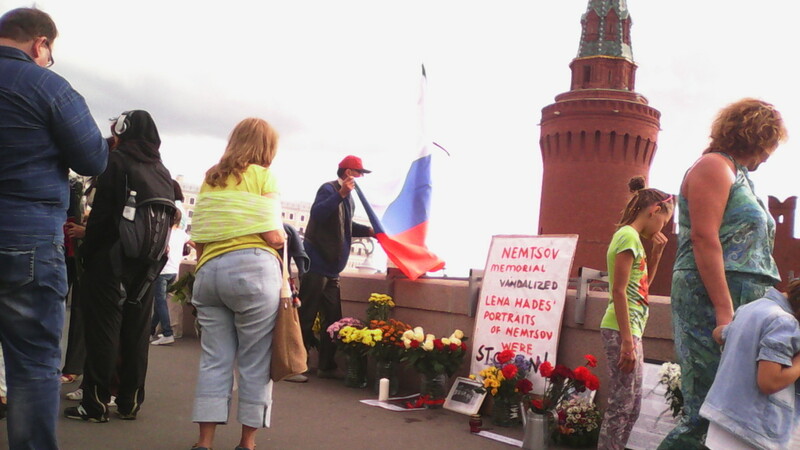 Place where Nemtsov was killed.